The Wendy’s Company (Wendy’s) is a Dublin, OH-based burger chain that is a major competitor of McDonald’s and Burger King in the burger segment of the fast food restaurants industry. Wendy’s has more than 6,500 restaurants in its global network, about 90.0% of which are based in the U.S. The company also generates about 90.0% of its revenue domestically. In 2016, Wendy’s earned $1.4 billion in revenue globally and employed about 12,100 workers, of which 10,900 worked on an hourly basis. Wendy’s is looking for prospective franchisees who have extensive restaurant experience with strong operational, administrative, and financial resources. Each franchisee must provide a comprehensive and detailed business plan which includes a skilled operator and management team that is fully dedicated to the development and operation of a restaurant. Training for the management team includes a four- to six-month training program conducted by Wendy’s training personnel. The training program includes in-restaurant training, classroom training, and regional orientations. Wendy’s also provides on-going regional support and a variety of training resources to assist the franchisee. The franchisor tries to select locations convenient for the trainees but travel for required training should be anticipated in connection with franchisees’ business plan. Joorney Business Plans has extensive experience in developing business plans that contain long-term employee plans that match specific employees’ knowledge, skills, experience, and training to their designated roles. The minimum financial requirements for new franchisees include a minimum net worth of $5,000,000 and minimum liquid assets of $2,000,000. The standard franchise fee is $40,000 for a franchise agreement with a term of 20 years. Prospective franchisees also pay an initial application fee of $5,000 to help defray some of the costs of the initial orientation and processing of the application, along with a $325 background investigation fee. These fees do not include any development or start-up costs for the restaurant. Joorney Business Plans writers have experience in developing long-term financial projections for Wendy’s franchises. 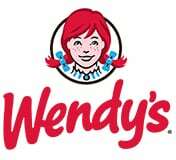 In order to use Wendy’s name, trademarks, national image, and logo, franchisees are required to pay a royalty fee of 4% of net sales per restaurant. Franchisees are required to contribute 3.5% of net sales per restaurant to Wendy’s national advertising program. The national advertising program covers a wide range of media advertising including TV, digital, and magazines. Franchisees are also required to contribute at least another 0.5% of net sales per restaurant toward local advertising through a local advertising co-op or through their own local programs. Joorney Business Plans develops in-depth marketing and advertising strategies in line with the franchise agreement. Becoming a Wendy’s franchisee is a great opportunity. You can get guaranteed a return on investment due to their strong historical performance numbers and internationally recognized brand. The company continues to grow around the world, creates new and innovate products, and stays relevant by tapping into social media marketing.